You will always need to consider the cost, but also think about the value for money. 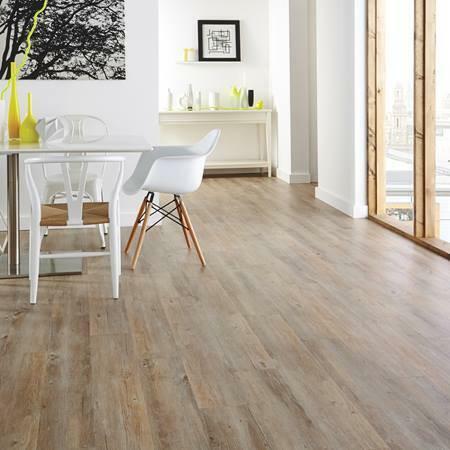 It might be worth saving up to buy something like Karndean Van Gogh Flooring which is built to last, rather than spending less and having to replace the thing that you have bought very quickly. This can be really annoying, especially if you pay out a significant sum of money and also have to pay out for it to be fitted on top of the purchase price. Therefore make sure that you are confident in what you are buying and that you read some reviews or ask for recommendations from friends and family. You need to consider what purpose you want the floor covering to serve. You need to think about whether it is there to provide warmth, colour, style, durability, protection or a combination of several of these, which is likely. Make sure that what you are choosing fits that purpose. It can be assume that you will achieve that, but once you get to the saleroom or website it can be easy to get carried away with colours and designs that you like which may not actually fit your requirements. Before you start looking think about what you want form the floor and you will then be able to put together a list. This will enable you to stay focussed when you are choosing. You may think that it is a bit over the top to worry about this. However, it can be expensive and inconvenient to have new flooring. Having to get all of the furniture ready for moving or moving it yourself if you are doing this can be hard work. Plus you have to work out how you are going to pay for the flooring and you will not want to have to replace it quickly and go through that hassle again. A good floor can really make a difference to a room. If it works well with the furniture it can highlight good features in the room or even make a statement by itself. It can help to keep the room warm or cosy and perhaps be used to set off a nice rug. The floor might feel like just the thing that your feet go on, but actually can be really important. So think carefully about the current flooring you have and how it makes a difference to the room and also when you are in other buildings do the same thing. This will help you to be able to think more about what you need in flooring as well as what you want. Spend a while doing this and it will help you to make sure that you make a better choice and hopefully one that you are happy with rather than one that you might regret. This entry was posted in Tips and tagged Karndean Van Gogh Flooring. Bookmark the permalink.